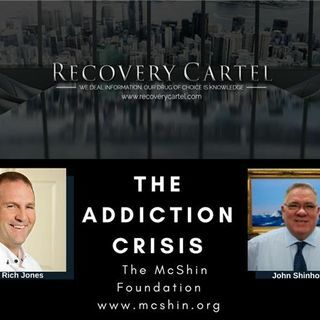 Rich Jones, host of The Recovery Cartel and founder of Favor Greenville speaks with John Shinholser, President and Founder of the McShin Foundation about the addiction crisis, recovery community organizations, government failure, and the industrial prison complex. In 2004, Shinholser and his wife Carol McDaid decided to establish a non-profit recovery community resource foundation based on this belief and on the work Shinholser had been engaged in with individuals in the recovering community ... See More since 1982. In 2005, Shinholser received the prestigious America Honors Recovery Award from the Johnson Institute -- one of six recognized (nationally) who have been affected or afflicted by alcohol and other drug addictions, and have given back to their communities so that future generations may know the possibility and power of recovery. In 2006, Shinholser received the coveted OSAS (Virginia Office of Substance Abuse Services) Award of Virginia for Significant Contributions to the Field of Substance Use Disorder Recovery. This award is typically given to professionals in the field. Mr. Shinholser was the first recovering community member to receive this award. Under John’s leadership McShin won the Recovery Community Organization of the year Award for the United States, also known as The Joel Hernandez Award, presented by Faces and Voices of Recovery in a Washington D.C. ceremony in June of 2011.